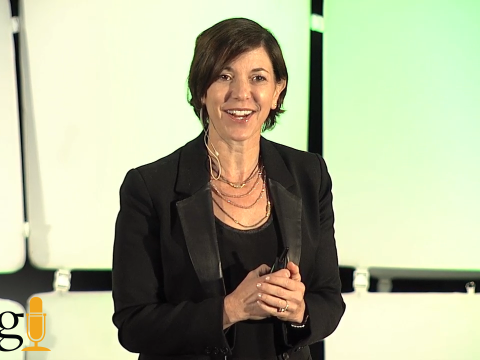 In this presentation, Lisa explores the four pillars of exponential leadership. These are the critical skills leaders must learn to successfully navigate a rapidly changing world—not just to create strategic advantage for their organizations, but also to help build the kind of inclusive, equitable, positive and abundant future we all want to live in. What are the skills, behaviors and mindsets of successful innovators? Truly innovative companies – companies that can adapt and grow in concert with changing customer needs and dynamic market forces, require a new way to think about leadership How can we enable our current and future leaders to think more originally and expansively about the future and their role in creating it? 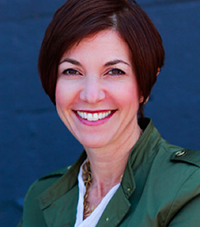 Lisa Kay Solomon will talk about the role of design as a leadership skill and its power to influence innovation in organizations across a variety of sectors, including nonprofits, government agencies and startups and established companies. 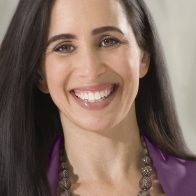 Drawing on her insights from her newly published book Moments of Impact: How to Design Strategic Conversations that Accelerate Change, Lisa will share a new way of thinking about how to create cultures and conditions for innovation and lasting change. Increasingly, the challenges organizations face require deep learning, new thinking, and innovative solutions. Yet in today’s highly competitive environment, organizational leaders and managers face intense pressure to make critical decisions faster than ever—while somehow achieving a high level of consensus and alignment across functional, geographic, and internal boundaries. Drawing on her experience as a faculty and leadership coach at California College of the Art’s MBA program in Design Strategy, and upon research and key insights from her bestselling bookMoments of Impact: How to Design Strategic Conversations that Accelerate Change, Lisa Kay Solomon will share best practices and case studies that illuminate the need to push the creative and productive boundaries of conversations in order to support successful innovation within organizations. A complete design journey from beginning to end in a way that you’ve likely never seen before, guiding the audience step-by-step in a practical way from the initial spark of an idea all the way to scaling it into a better business. Design a Better Business includes a comprehensive set of tools (over 20 total!) and skills that will help you harness opportunity from uncertainty by building the right team(s) and balancing your point of view against new findings from the outside world. This keynote also features case studies and real life examples from large corporations such as ING Bank, Audi, Autodesk, and Toyota Financial Services, to small startups, incubators, and social impact organizations, providing a behind the scenes look at the best practices and pitfalls to avoid. Lisa Kay Solomon’s Key Accomplishments Include . 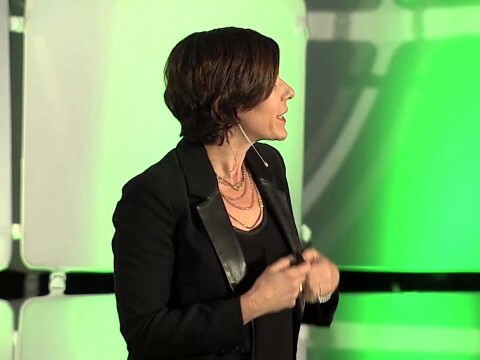 . .
Lisa Kay Solomon is a bestselling author and renowned thought leader, educator, and expert on business leadership and culture design. The founding Chair of Transformational Practices and Leadership at Singularity University, Solomon works to help companies adapt to the forces of technological and social change, by emphasizing their underlying cultures as catalysts for (or detriments to) innovation. Lisa’s keynote shows leaders that their greatest skill is not to solve the problem, but to create the culture where problems can be solved. Solomon co-authored the Wall Street Journal bestseller, Moments of Impact: How to Design Strategic Conversations that Accelerate Change, and more recently, Design a Better Business: New Tools, Skills and Mindset for Strategy and Innovation, which has been translated into over 12 languages. 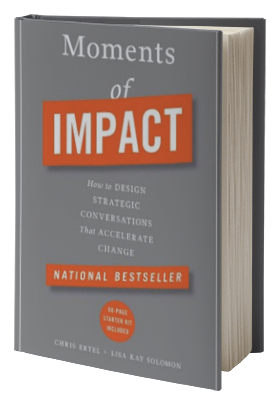 Moments of Impact was positively reviewed by Solomon’s colleagues in business model design and innovation, including Clay Shirky, Dan Roam, and Alex Osterwalder. 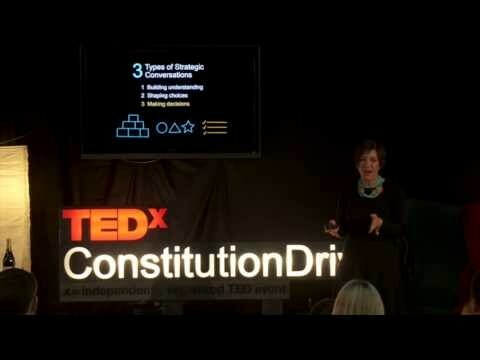 More About Speaker, Lisa Kay Solomon. 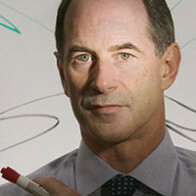 . .
Solomon is available as a keynote speaker, workshop designer, and as a long-term consultant for corporate clients. 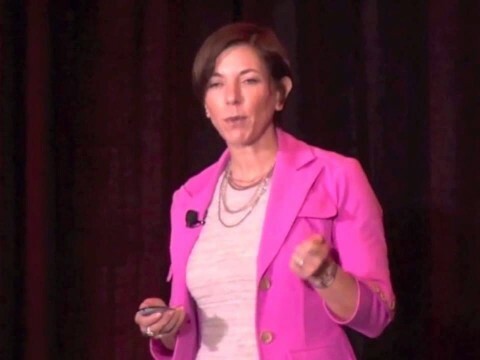 Her consulting work often entails connecting clients with some of the best and brightest minds in their respective industries to customize her general teachings on leadership and culture design. Lisa lives in Menlo Park, CA with her family. Under these challenging conditions, old ways of research, communication and dialogue too often fall short of the mark. In order for organizations to thrive, leaders must learn new ways of empowering teams to collaborate creatively to tackle complex challenges. Conversations are crucial opportunities to engage the best minds, perspectives, and resources in an effort innovate boldly in the face of uncertainty. Design thinking provides an invaluable toolkit for shaping conversations that embolden teams by engaging diverse perspectives and creating the conditions necessary for innovation and lasting change. This seminar focuses on how to design these kinds of conversations strategically to tap the creativity and passion of all involved, and generate novel ideas with the potential for lasting change. 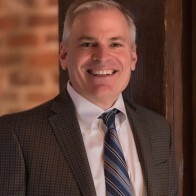 In “Designing Strategic Conversations,” participants will learn how to apply core principles of design thinking such as empathetic and human-centered need-finding, problem reframing, rapid iteration and co-creation, visualization, and prototyping to shape real and envisioned high stakes conversations in their lives and organizations. Scenario planning is a technique that helps teams have well-designed conversations about the future, especially when they face major uncertainty and change. It has been used as a strategy tool in organizations for over 50 years, yet is more relevant and necessary than ever. Most discussions about future possibilities are based on predictions and forecasts, which have the effect of narrowing the thinking of groups, making them susceptible to surprises. In contrast, scenarios are multiple, alternative stories about how the future could play out, which encourages teams to challenge their own assumptions and think creatively about change. 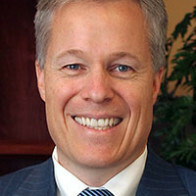 Scenarios are used in many different organizational settings – contingency planning, strategy, innovation and visioning. This interactive session will help you understand the value and principles behind scenario planning. The discussions and exercises will focus on questions of direct relevance to all participants: What are the trends affecting the future of design? What different situations might play out over the next 5-10 years? How can design creative value for organizations across different industries? Who will be the winners and losers in different futures? At the end of the session, we will have new insights into the risks and opportunities facing design, strategy and leadership, and will have learned the basic steps in developing and using scenario planning for the benefit of your organizations. who aspire to truly make an impact with their ideas. It’s the practice of combining words, images, and shapes to enhance creative thinking, engagement, and retention of key concepts. And it’s rapidly becoming an essential skill for entrepreneurs, designers, and innovators everywhere. • What is the Visual Thinking? What’s this Revolution about? • Why do Visual Thinking skills matter for innovative leaders? 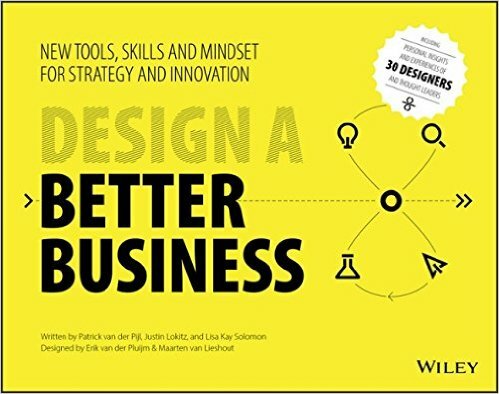 • Where is Visual Thinking most effective in the innovation process? • What are the applications of Visual Thinking? • But I don’t draw. What are some basic skills to get me started using Visual Thinking? In our fast-changing world, leaders are increasingly confronted by messy, multifaceted challenges that require collaboration to resolve. The standard methods for tackling these challenges just don’t deliver. CEO’s and managers need new tools, new skills and a new mindset. They have to think as designers: use visual tools, make future scenarios, generate different options, and co-create with their team. Patrick van der Pijl and Lisa Kay Solomon will discuss a method to design strategic conversations for strategy and innovation in order to unlock solutions and accelerate change in organizations. The workshop aims to empower future organizational leaders to design and facilitate successful strategic conversations by using core principles of design thinking and business model innovation. Participants will leave with a new toolkit for designing the conversations that will propel their teams and projects to bright futures. • A new toolkit: getting started with your team tomorrow!